Kurt and Alyssa were so excited about finding Camp O-AT-KA for their wedding venue. They wanted their family and friends to feel comfortable and to have a great time celebrating with them for the entire weekend. The camp was perfect with many charming buildings, and plenty of room for all their guests. Kurt and Alyssa are by far the most laid back couple and truly just wanted to spend time enjoying every moment of their wedding day. I started the day at the Garrison Inn on the North Shore of Newburyport, Massachusetts. This quaint inn was packed full of beautiful bridesmaids and handsome brides men! This is what happens when you’re well loved and you have lots of friends!! Obviously Beth is an amazing woman to have so many wonderful people surrounding her on her wedding day! Everyone was so welcoming. I came into their world of hairspray, makeup, magic and chatter and they welcomed me with open arms! It was a wonderful morning!!! Brian and Beth have one of those relationships that everyone just loves hearing about. They met, fell in love and EVERYONE loves them together. One of my favorite parts of their wedding day was during the reception when their family gave their toasts. It seemed like every toast had a common theme, Brian and Beth were great people before they met, but they are better together. 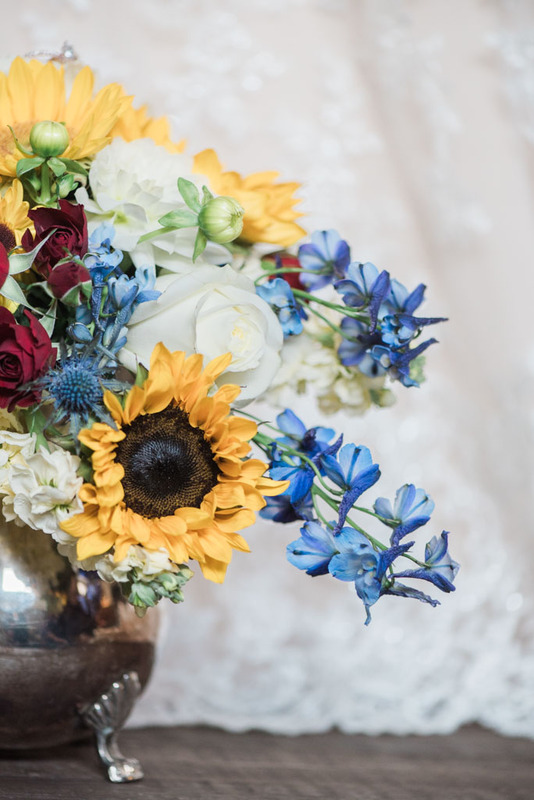 Brian and Beth’s wedding was possible because they have incredible friends and family (especially Beth’s AMAZING mom) that all joined forces and made sure the day was PERFECT! … And it was just that! Their day was filled with little moments they will always remember, and hopefully laugh about; from Beth’s sister singing to (and with her) to shake off the nerves while Beth got her makeup done, to Brian’s brother missing his flight but making it just in time to change in the shuttle before the ceremony started. Wedding days are perfect, not because everything goes according to plan, but because of all the unexpected moments that you will still be talking about fifty years from now. 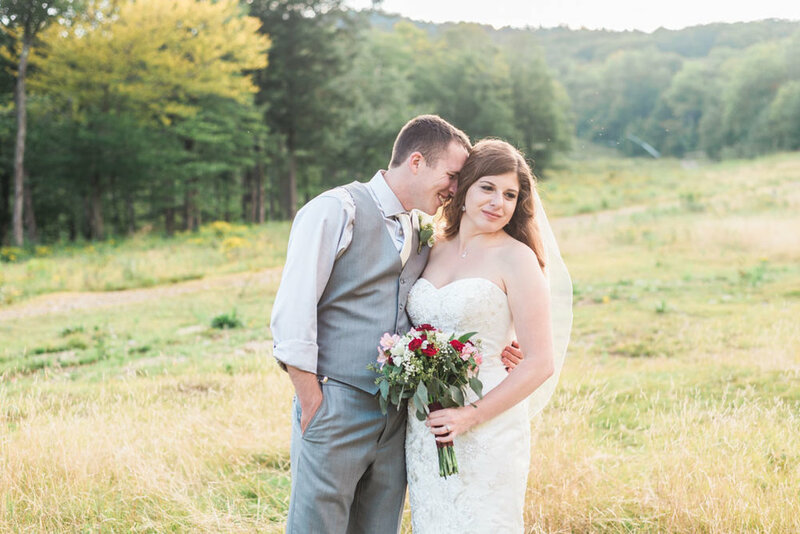 Alnoba was the best location for their intimate wedding ceremony, and I’m glad I got to photograph a unique New England wedding there! Beth and Brian skipped over the part of saying their own vows and instead promised to love one another with their whole heart for all eternity. As a symbol of their bond, they literally tied the (fisherman’s) knot as a way to begin building a strong foundation for their life together. Brian and Beth, you truly made your wedding day unique to who you are as a couple. I love that you kept some of the traditions, like not seeing each other before the ceremony, but skipped the formal dances and instead just mingled with your guests. It was such an honor to be a part of your celebration and capture so many memories. This is just the beginning of your new adventure together!!!! I told Jenna that she was honestly one of the most joyful, genuine and fun-loving brides that I’ve ever worked with! I meant every word. She has an infectious laugh and bubbly personality, and the best part?! Pj is the exact same! One of my favorite parts of the day was watching these two interact throughout the reception! 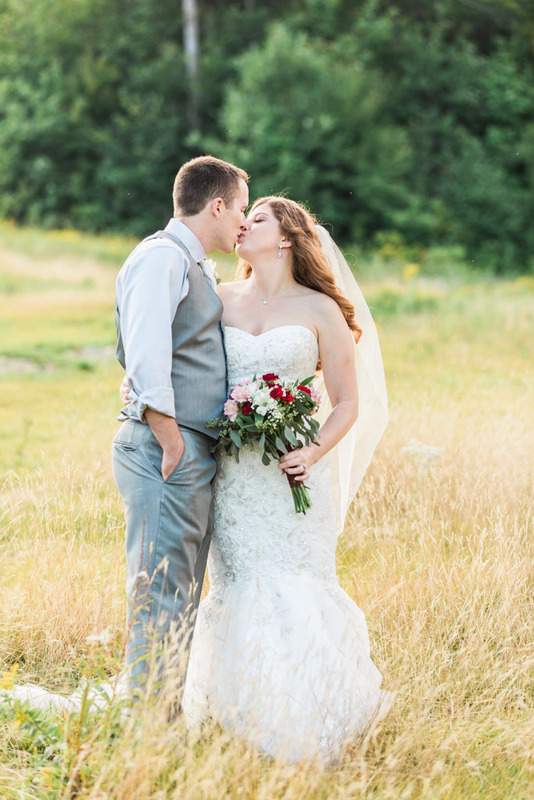 Seeing their excitement, and facial expressions made their wedding even more special. She loves him to death and he just absolutely adores her. Their ceremony was filled with expressions of their deep love for one another and their promises of forever. There were so many parts of the day that left me a little emotional, but what really got me was watching as each of their guests passed around their wedding rings, and blessed their marriage. Not only do Jenna and Pj love each other deeply, they are deeply loved by their amazing friends and family. They promised to love, support and care for one another forever, and to have endless adventures together. 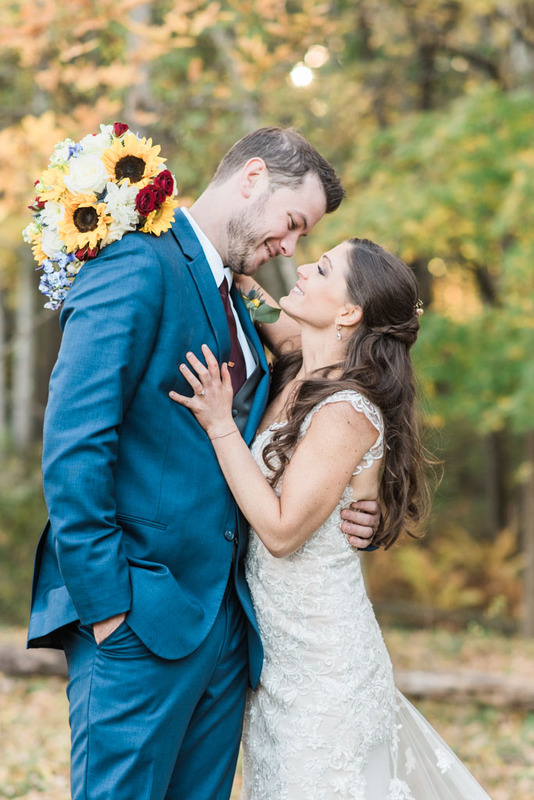 The leaves were changing, giving Jenna and Pj the perfect golden glow in the background of all their portraits. 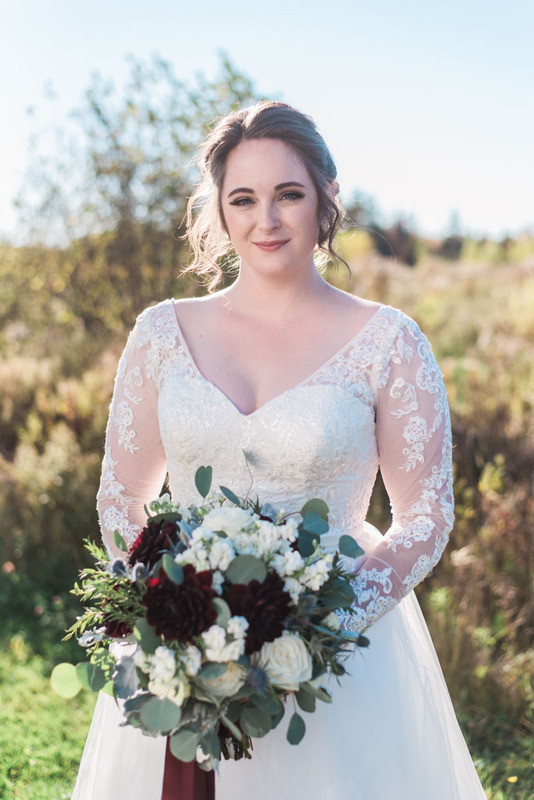 This is my favorite time of the year for weddings and I’m so thankful I was able to capture this breath taking wedding, with an incredible couple and with perfect weather!! The smiles, laughter, and tears of pure joy that you’re about to experience in this blog post are just unreal. You’re going to love it, every last detail is perfect, and Jenna and Pj add a little extra magic. Jenna and Pj, I can’t thank you enough for treating me like family, and for allowing me to be a part of one of the happiest days of your life!! It was SUCH an honor!!!! I look forward to hearing about all of your future adventures as husband and wife!! 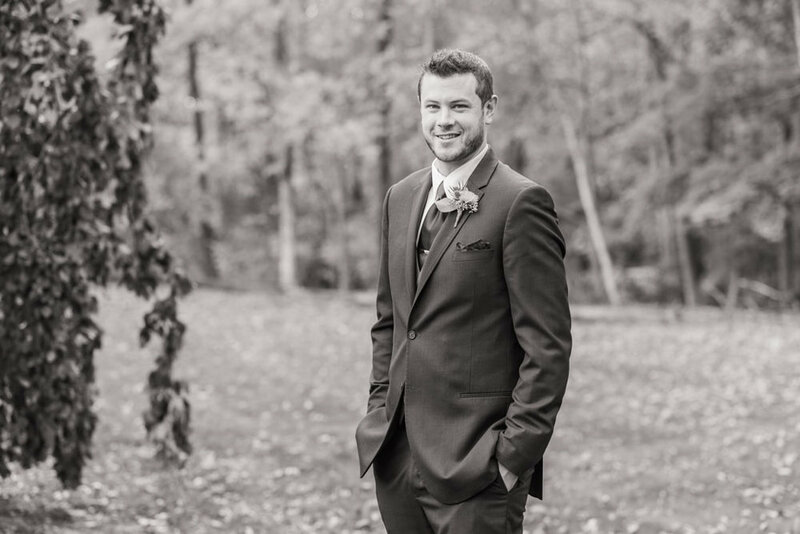 As I left Ross and Bry’s engagement session, I knew their wedding details would be perfect! Not only because they are so in love, but because Bry put so much care into selecting every accessory. I was right! 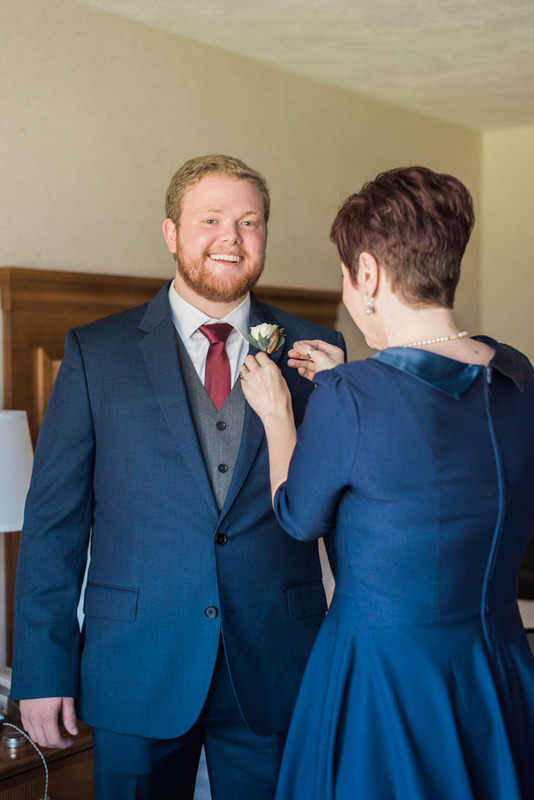 These two were surrounded by such amazing family and friends on their wedding day, and I was amazed seeing how they all helped make Ross and Bry’s vision become a reality. There were many moments that stuck out to me as I captured each part of the day. I loved walking into the reception as the final details were coming together, and hearing Ross’s dad compliment everyone, and thanking them for all their hard work. I loved Bry’s dress! She looked amazing, and she made it herself!! That is how important every detail was to her, she spent countless hours making their wedding unique and personal. Her bridesmaids were just in awe of how gorgeous she was, and they made her entire day such a celebration!! 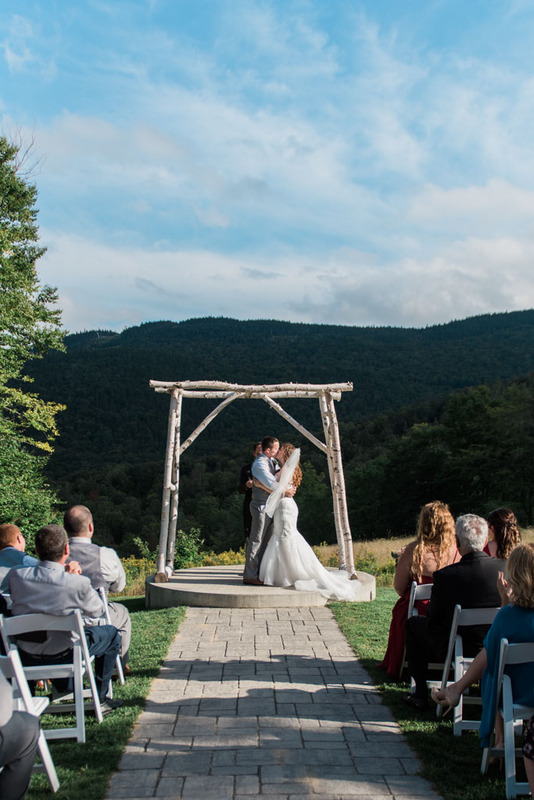 I always love photographing mountain weddings because it is the perfect background for every photo!! However, my favorite part of the day was the ceremony. 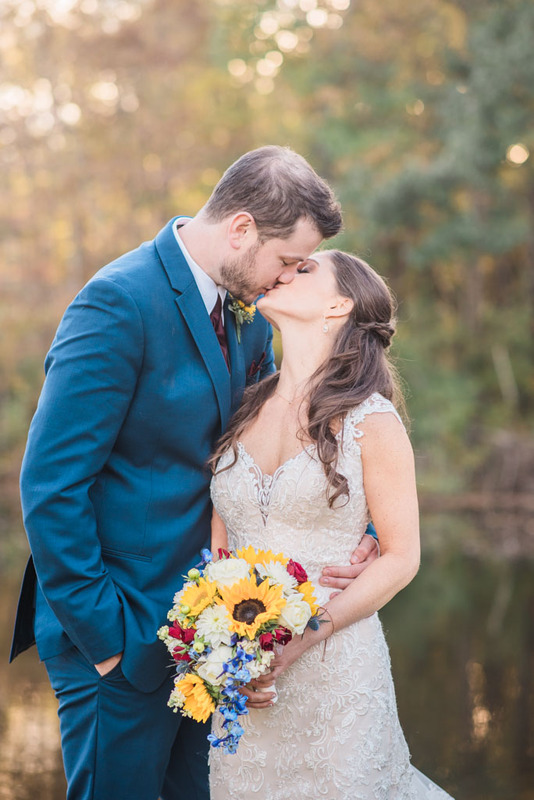 From the moment Bry’s brother walked her down the aisle, to Ross’s sister singing, the blessing of their hands, and the first kiss as husband and wife. It was filled with love and was completely authentic to who Ross and Bry are as a couple. Being a part of weddings like this is such an honor for me. Their sweet family and friends traveled near and far (many even crossed over oceans) and were so gracious and loving. Throughout the day every guest was thrilled to celebrate a love that was always meant to be. As you scroll through this beautiful wedding, I hope you enjoy this gorgeous couple as much as I have! The joyfulness they display is radiant!!! Ross and Bry, thank you for including me in your day! It’s really hard to explain just how much I loved this wedding. Things did not happen exactly the way they were planned, but their day was nothing short of perfection. From the details, to the vendors, to the weather and their wedding party, it was a dream come true!! Keren and Tom have every characteristic I look for in my couples and then some! They are trusting, energetic, funny and very much in love. One of my favorite parts of their wedding day, was their ceremony. 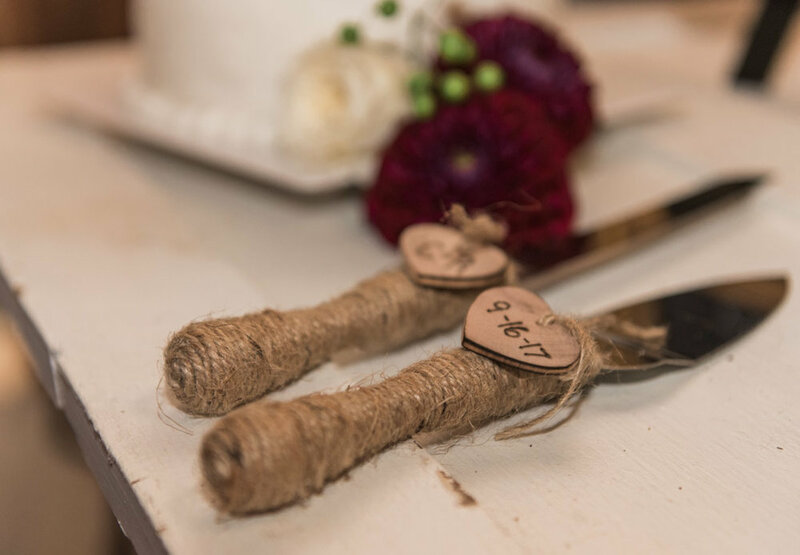 Keren and Tom worked so hard to make sure it was meaningful and filled personal touches. 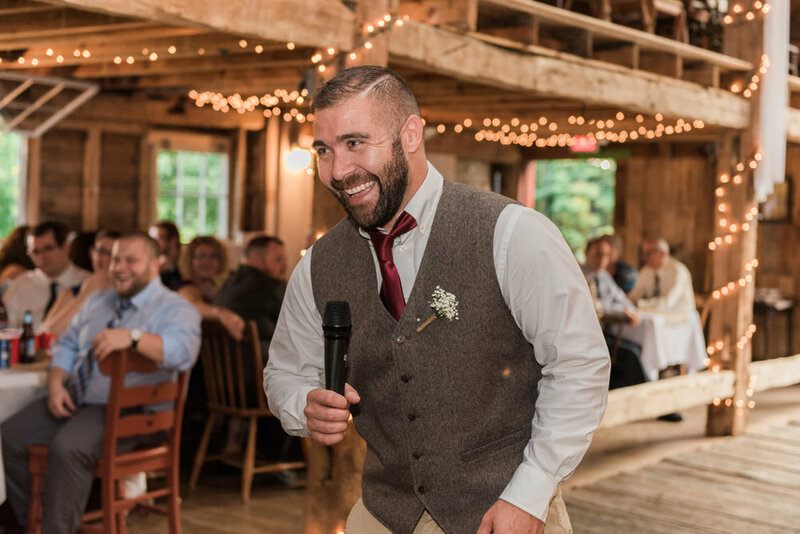 When Keren walked down the aisle, and Tom saw her for the first time, he was overcome with emotion and let the tears roll down his cheek. 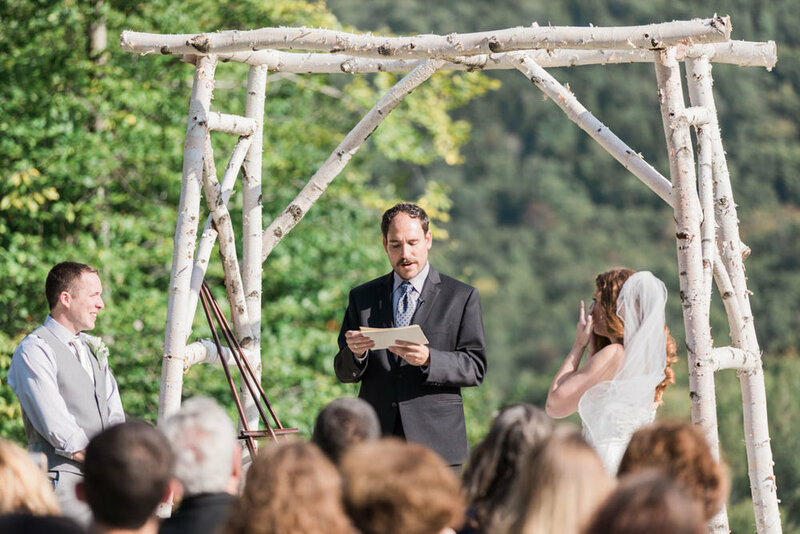 They laughed together, they cried together, they said vows in Hebrew with each other, and they stood side by side promising to build a life together. It was truly one of the most beautiful ceremonies I have witnessed. 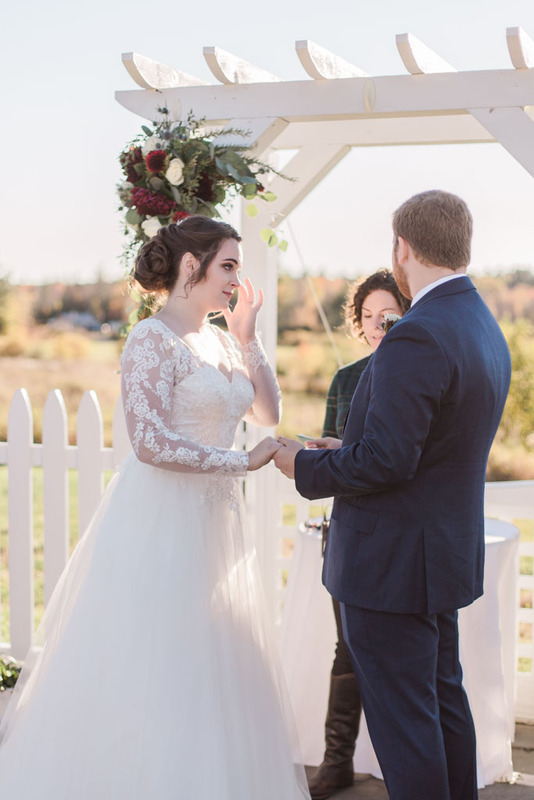 Not only did I love the sweet tears and the amazing portraits we were able to take after the ceremony, I also loved their reception! From the welcoming speech to the chair dance, the evening was filled with love and laughter, and I am honored I was able to capture every moment. I could not be more excited for the two of you, but remember this is just the beginning of your new adventure! I can’t wait to share these images and allow you to get to know this incredible couple! I have dozens and dozens of favorites!!! I hope you enjoy this little preview! I walked into the historic Airbnb located in Portland where the girls were getting ready and I could hear the buzz of the bridesmaids. They were getting their hair and makeup done, while Megan took me on a little tour. I was so excited to see her! Once I said hi to everyone, I started taking detail photos and I just knew that it was going to be a good day!! She had everything all ready to go, from her dress to the perfume, and the invitations SHE made herself!!! Everything was stunning!!! I truly have the world’s BEST brides!! Abtin & Alison are one of the sweetest couples I have had the honor of working with, they truly have been a dream. Alison is the epitome of an Anderson bride! She cares deeply about family, is full of joy, and is beautiful on the inside and out!! I can see why Abtin fell in love with her, she has a smile that is contagious, and finds the good in everything. I also know what a wonderful man he is, not just because of the stories she shared with me, but just by the smallest gestures he makes when they are together. On their wedding day the forecast was calling for rain. Surprise, surprise. 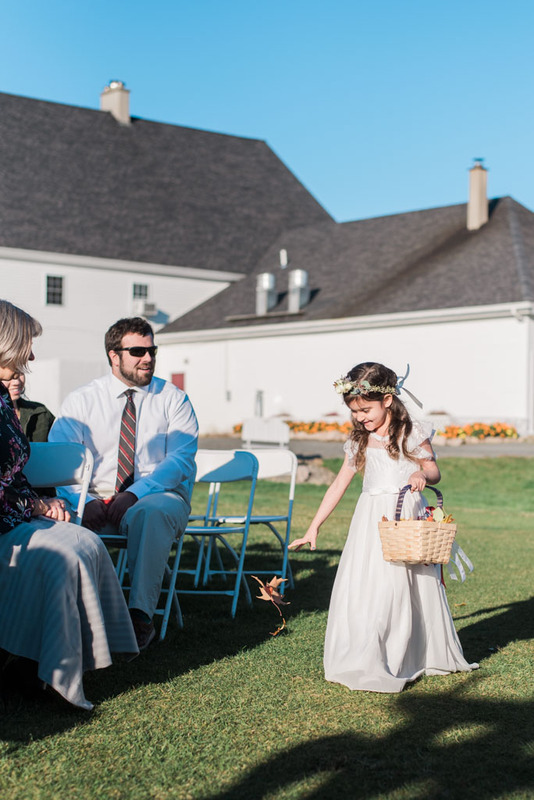 The spring wedding season in Maine is always unpredictable, but that never deters me from capturing amazing candid moments during a wedding day! 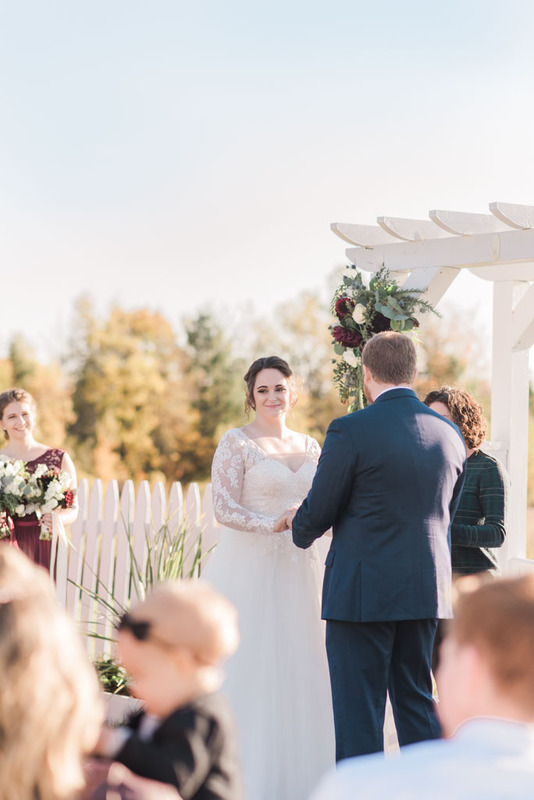 I knew Alison was hoping to have the ceremony outside and understood why once I was at their venue and saw the amazing arbor and wood line that was supposed to be the backdrop for their ceremony! It was breath taking!!! As the morning passed, we dodged a few downpours, but still managed to have a first look with Alison's dad outside right in front of the farm house! Her dad patiently waited as Alison's bridesmaids fluffed and buttoned her dress, to make sure it was picture perfect! Her parents could not have been happier for their daughter. 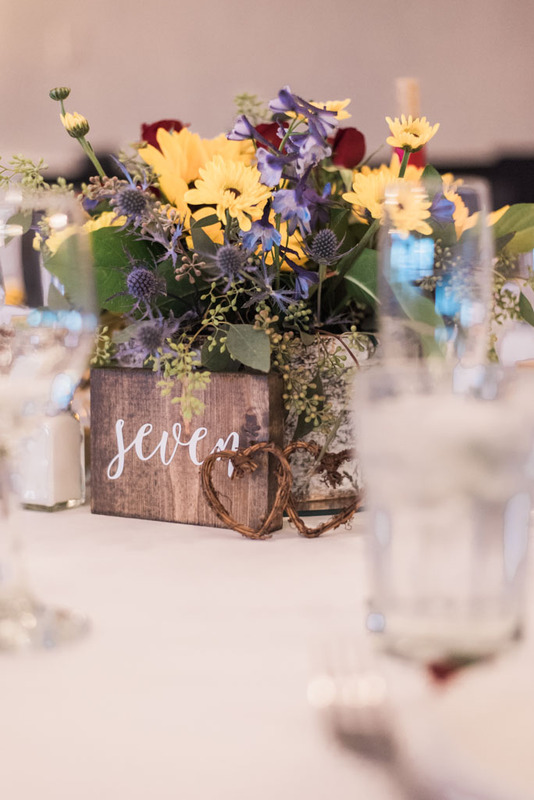 Alison's mom worked so hard to make sure all the decorations came together perfectly for the reception. The barn looked like something straight out of a magazine! 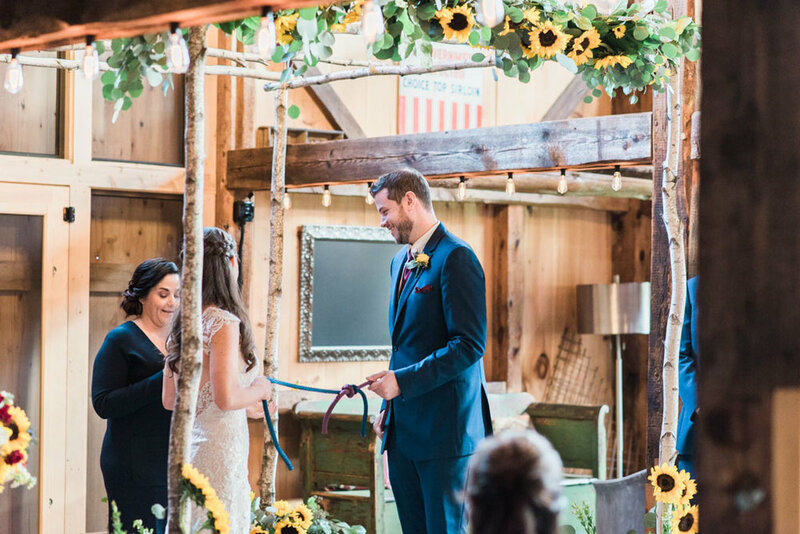 Their coordinator Hallie decided last minute to move the ceremony inside the barn, and it was a good thing she made the tough call because it started raining mid way through the ceremony. Both Abtin and Alison handled it wonderfully. At the end of the day, all they truly wanted was to celebrate their love for each other, surrounded by family and friends. We were so lucky the rain stopped after the ceremony, so we could to take ALL their group photos outside! 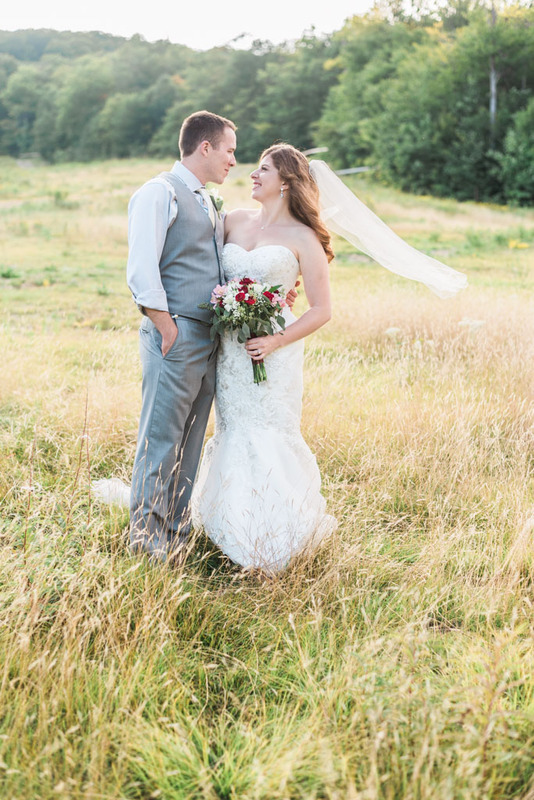 Their venue had a stunning front lawn for their family and wedding party photos. We even had a chance to sneak off to the arbor for portraits of just the couple! Alison and Abtin couldn’t have been more easy-going. Both of their families smiled and laugh throughout the entire day! My job could not be any more rewarding! I am so thankful to be blessed enough to have so many wonderful clients!! 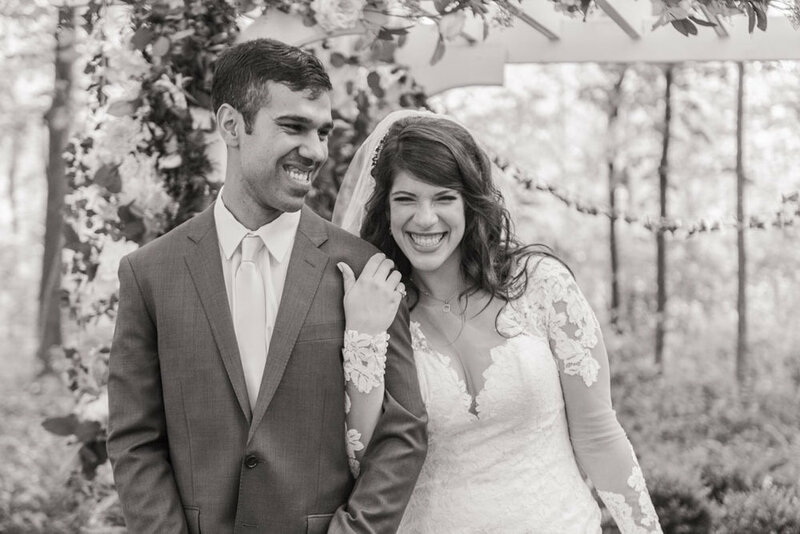 Alison and Abtin, I know you have a busy summer filled with lots of exciting new adventures, but I hope you are getting settled, and enjoy reliving your wedding day through your blog post!!! It was such an honor to be your photographer!!! My favorite love stories are original. They start with two people who seem ordinary from a distance, but once you get to know them, you see a love that is fierce and perfectly imperfect. Sometimes we can get so caught up in perfection, we forget the best moments are the unplanned. The best memories aren't perfect, they are genuine and filled with real emotion. 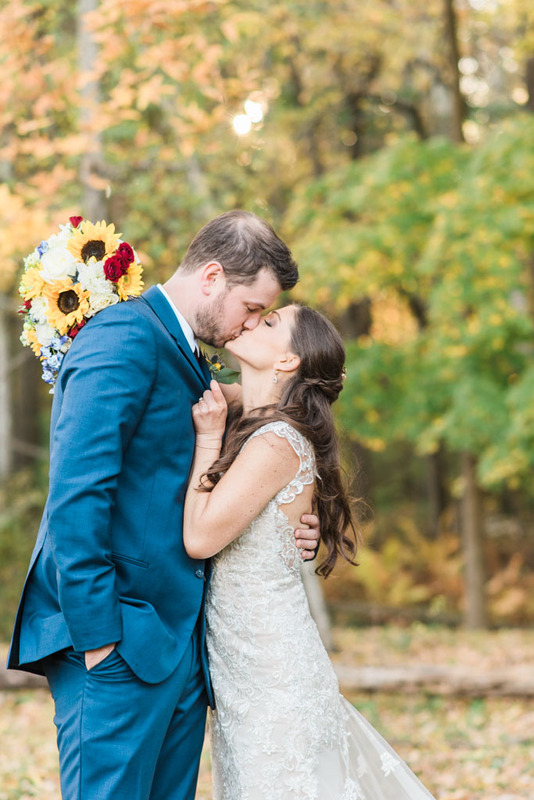 Before arriving at the Alden Camp, I knew Ashley and Devon's wedding day was going to be filled with many beautiful, and emotional moments. One of my favorite details was the patch Ashley gave her dad at the rehearsal dinner. Simply saying "Dad, I loved you first" with her childhood nickname, Ash Bash. It is amazing how something so small can bring back years of memories. I love that every time Ashley's dad sees this patch, he will not only remember the day his daughter got married, but he will also remember the best moments of her childhood. 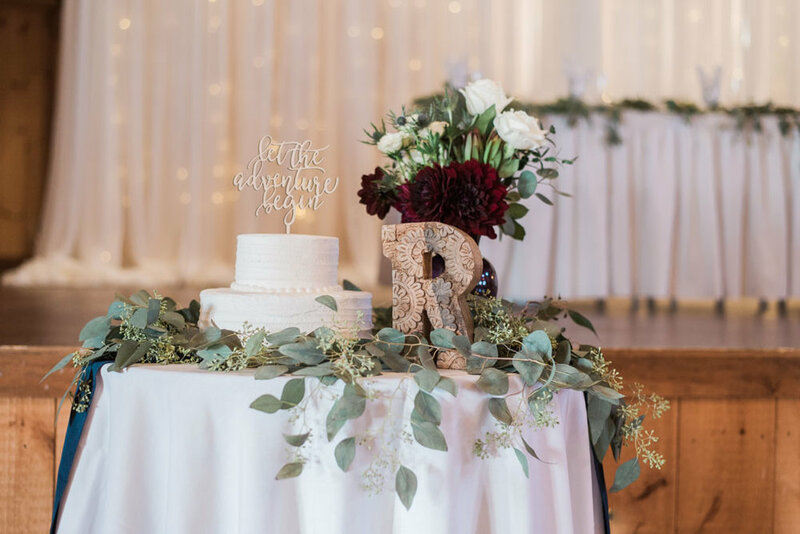 Cathryn and Russell's wedding was truly magical! 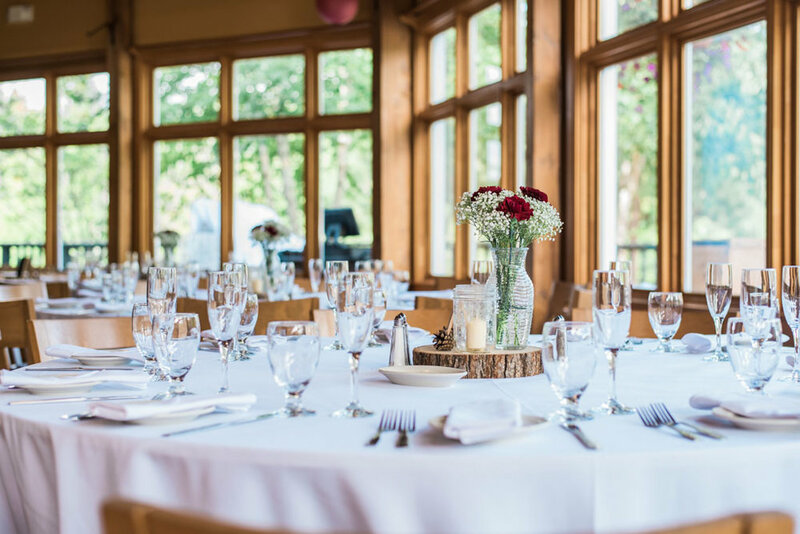 Cathryn got ready with her bridal party at the Fairytale Gardens venue in Madison, Maine. All of Cathryn's accessories were stunning , but my three favorite were; her hair comb, right hand ring, and clutch purse. They were my favorite because they were passed down from her grandmother. More than anything I LOVE, when the details have a story. Although we were running short on time, we were able to sneak Cathryn into the "tree tunnel" a wooded trail at the venue, to get a few breathtaking bridal photos, minuets before the ceremony started. Cathryn walked down the aisle with both her mom and dad, to marry the man of her dreams. 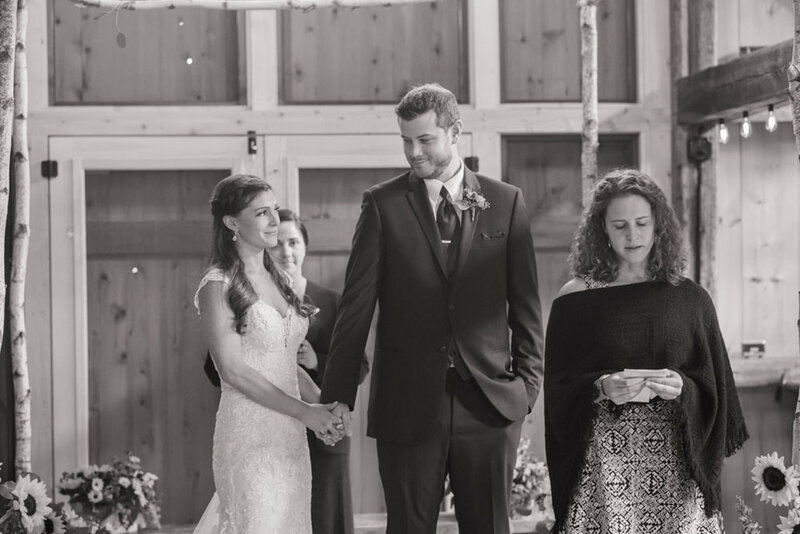 The couple wrote their own vows, and had almost everyone in attendance in tears. Cathryn vowed to NOT always rub her cold feet on Russell when they got into bed. And Russell had a hard time just getting through the first line, of the vows he wrote for Cathryn, because he was so happy to be marrying the love of his life. He talked about how he never thought he had a chance with a girl as beautiful as her, but knew he had to work up the courage to talk to her because she was something special. Some of my favorite photos I get to capture are of the moments in-between. The moments when people aren't expecting me to take their photo. The moment a mom hugs her little girl who is all grown up. The moment of a grandmother who can't find a phone to get a quick picture of her granddaughters hair. I can't imagine all the memories that small hair comb brought back of her very own wedding day, so many years ago. Deciding to marry Cathryn was one of the easiest decisions Russell has ever made. They are simply perfect for one another. When they were holding each other all their nerves disappeared, they were calm and so joyful. Cathryn could not take her eyes off him, and Russell was thrilled to know he could wrap up in her arms forever. You can tell how happy they make each other, the little smiles, the simple kisses that make their faces light up. It is clear to see they were made for one another. 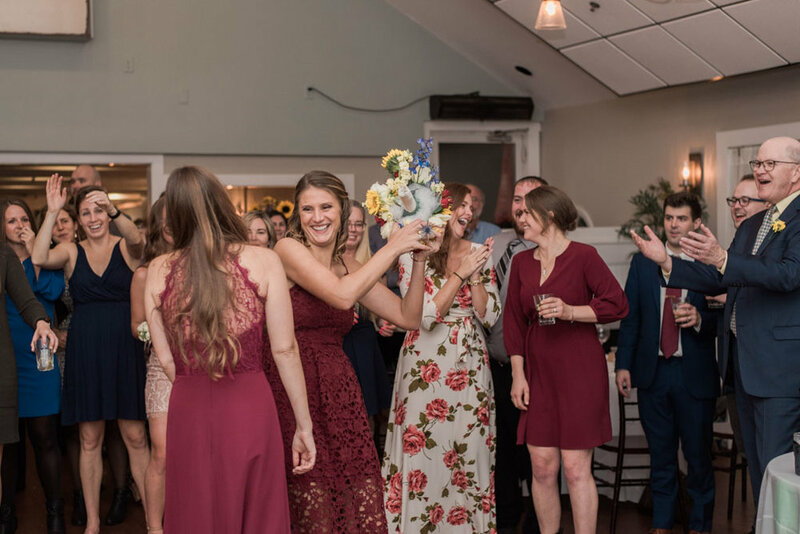 From the jars of jam to all the pinecones, that Russell and Cathryn collected themselves, the reception details were picture perfect. 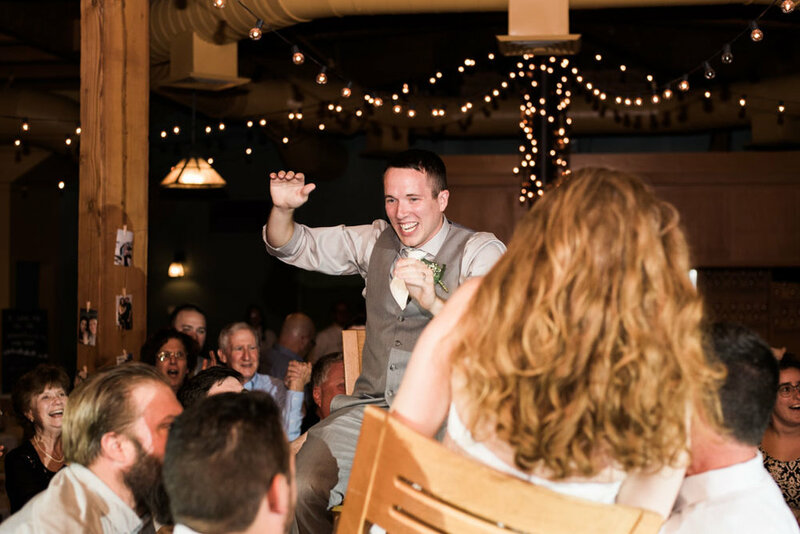 Receptions should be filled with fun and laughter, and a few happy tears. 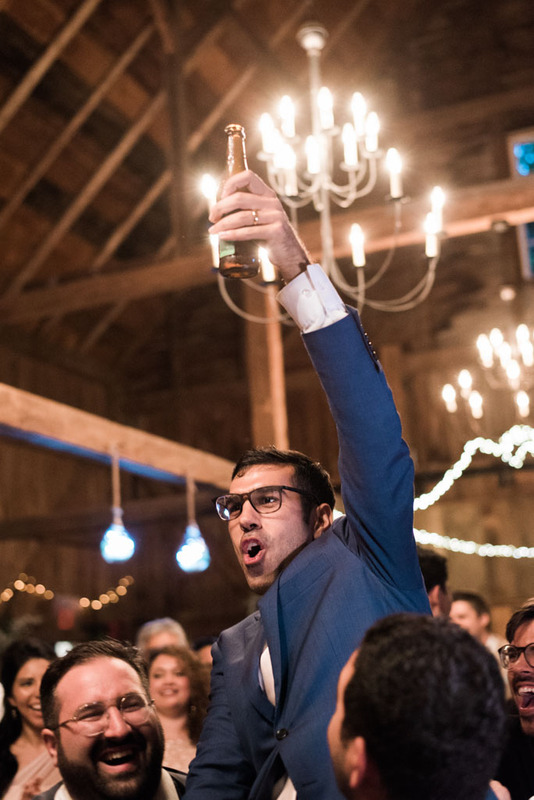 This reception was no exception to the rule. Everyone laughed throughout all the toasts. The father-daughter dance even had me tearing up, after listening to Mike talk about the amazing relationship he has with his daughter. I must say one of my favorite parts were the dance off's Russell's nephew challenged everyone to. The day could not have been any more beautiful, and the sparkler send off with the barn in the background was the best way to kick off the after party. 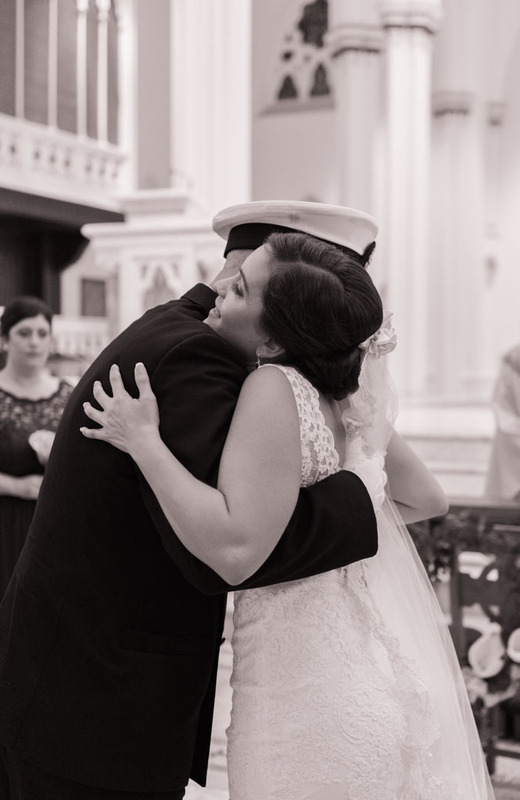 There is so much I could say about this wedding, but I think the photos show just how much love and joy there was. The day was perfect, and these two people were always meant to be together. I wish you a lifetime filled with laughter! 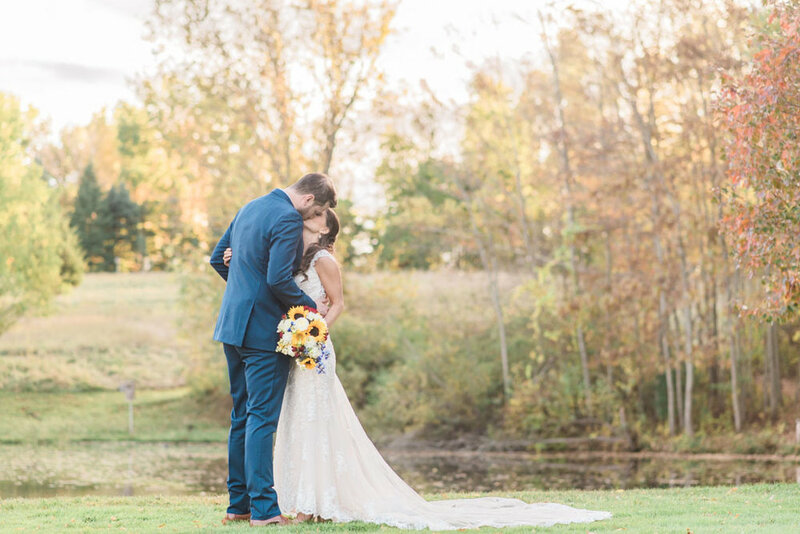 Rachel and Tim’s wedding day was like a real life fairytale. I was guided to the bridal suite, where everyone was getting ready at the Sable Oaks Marriott, by one of Rachel’s flower girls. The whole bridal party was amazing! We started off taking a few detail photos, along with some really fun photos of the bridal party, before everyone got into their dresses. Rachel said she felt just like a princess at Disney, with a line of people waiting to get a photo with her. 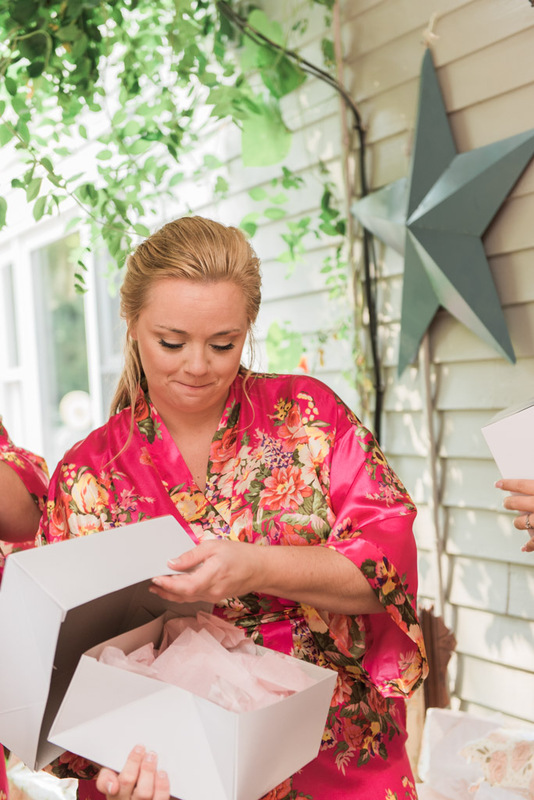 One of the most beautiful moments was just after Rachel got into her dress, and opened the gift that Tim had gotten for her. I have seen many gifts exchanged between the bride and the groom, but this by far was my favorite. Tim gave Rachel a broken bowl that had been repaired and put back together with a gold lacquer. Many times when something breaks, we see it as trash, or we want to fix it and make it look like new again. In Japan when something is broken, they repair it with a gold lacquer emphasizing the fractures. Once its repaired, it looks more beautiful and has more meaning than it originally did. In a marriage, sometimes we face challenges, and sometimes our relationships can feel cracked or broken. This does not mean we should throw away our marriage, or try to repair it so it looks perfect, it means we should fix it to be stronger and more beautiful than it originally was. Rachel and Tim, I have no doubt this is what you will be reminded of each and every time you look at that bowl. Over the years your marriage will be pushed and tested, but if you repair each fracture in the same way the Japanese repair their pottery, your marriage will only be stronger and more beautiful because you have embraced your history. Rachel and Tim were married at the Cathedral of the Immaculate Conception, in Portland, Maine. The craftsmanship of the cathedral was a dream, from the stain glass windows to the details in the altar. It was easy to see why Rachel and Tim selected this church to get married in. They had a beautiful traditional catholic ceremony, complete with a reading of Corinthians. This is one of my favorite readings because it always reminds me that love is not just a feeling, it is also an action. We choose to love and to be loved, without love we truly have nothing. This marriage between Rachel and Tim has been built on a strong foundation of love, that is sure to endure all things. 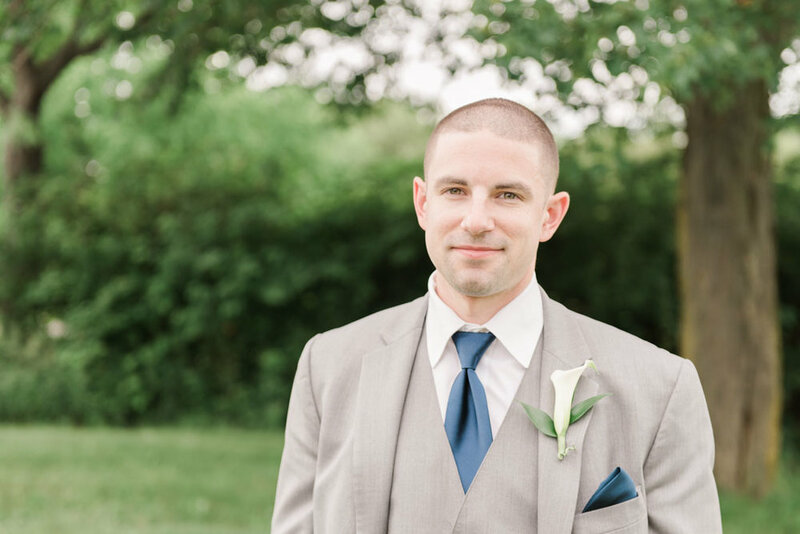 Capturing the couple's portraits just after the ceremony is one of my favorite parts of the day. I love them because my couples don’t ever just stand and pose for portraits, they truly get to enjoy a few moments just loving their best friend. They get to celebrate, and simply enjoy being in love. These are just a few of my favorite images of Rachel and Tim. They had a few serious moments. They were a tad silly, and also a little tender. In all of this you see love, and you feel love, between two people who have promised eternity together. 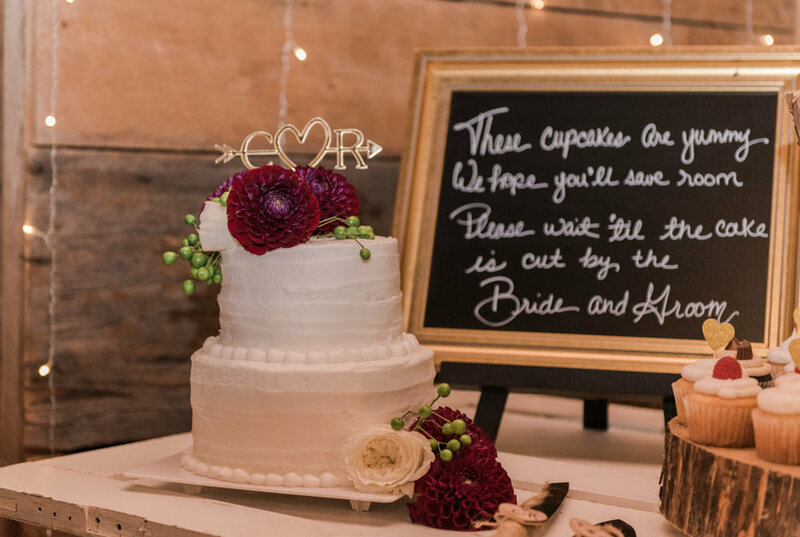 The reception was the perfect mix of elegance and fun. 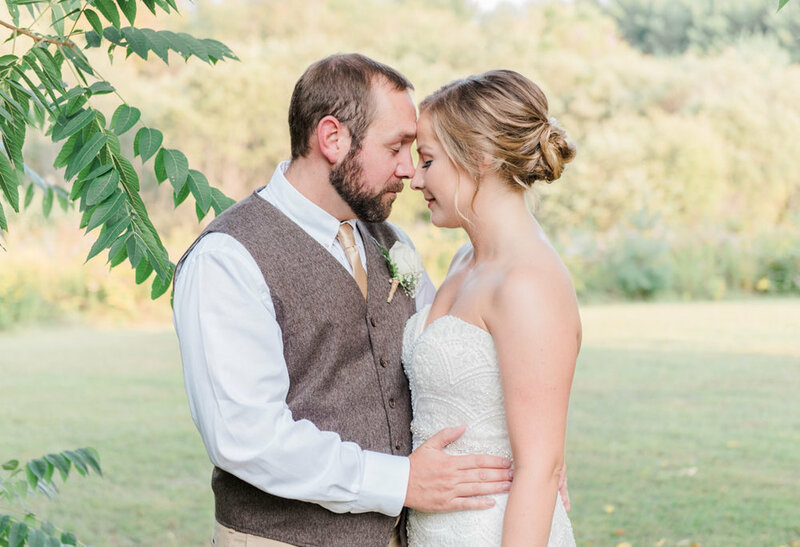 The details told Rachel and Tim’s story perfectly. I loved the cake toppers, and jam jars, but mostly I loved that they were surrounded by their friends and family. 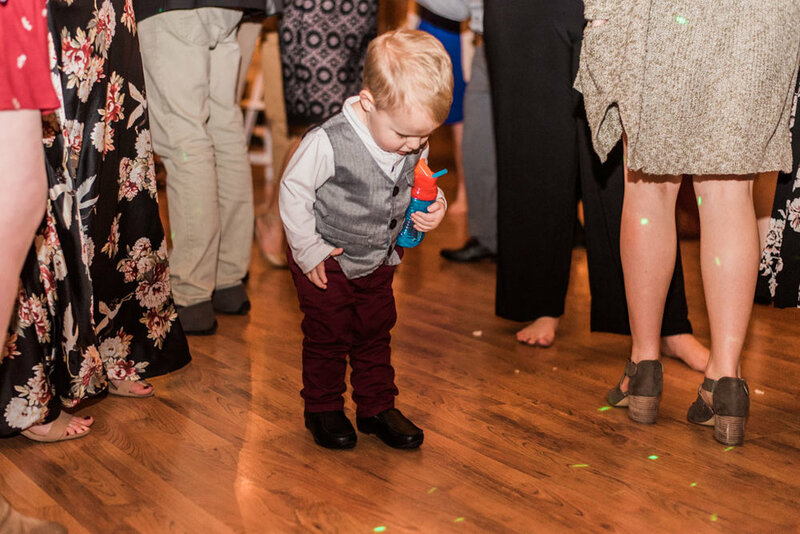 Everyone laughed and cried during the toasts given by the best man, and maid of honor, and after dinner everyone was out on the dance floor celebrating. I am sure this family will be celebrating this love for generations! 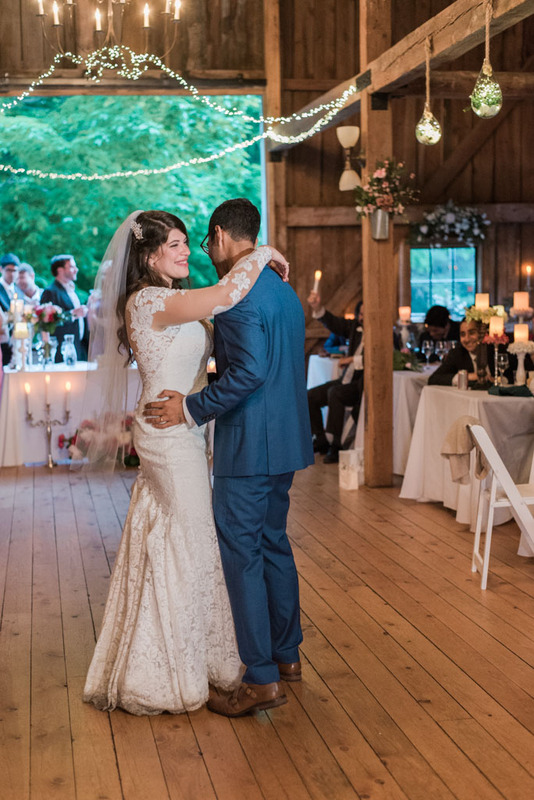 I believe every love story is unique, and Jess and Ben's is no exception. They did not fall in love at first sight, when they first met, they hardly ever spoke. Even after working together on a college project, Jess did not see their relationship becoming anything special, but Ben had a huge crush on Jess, and he spent an entire summer break planning a way to ask her out. When classes started back up in the fall, Ben finally got up the nerve to ask Jess out. All his hard work paid off, Jess agreed to go out with him and after they went out to dinner Ben knew he was going to marry her one day. When I first met Abby & Eamon at The Speckled Ax Coffee Shop, it felt like I was catching up with old friends. We talked about our dogs and our family and eventually we got around to talking about their wedding. I knew right then how much I would enjoy working this this wonderful couple. 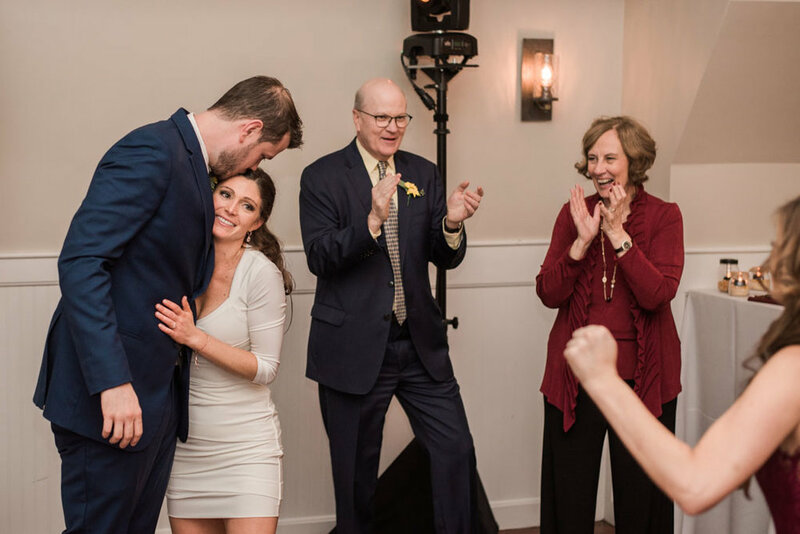 Abby & Eamon’s proposal was beautiful, and while I love a good proposal story, how they announced their engagement to their family is what I will always remember. One of their Thanksgiving traditions is to write one thing you are thankful for and Eamon wrote “she said yes”. 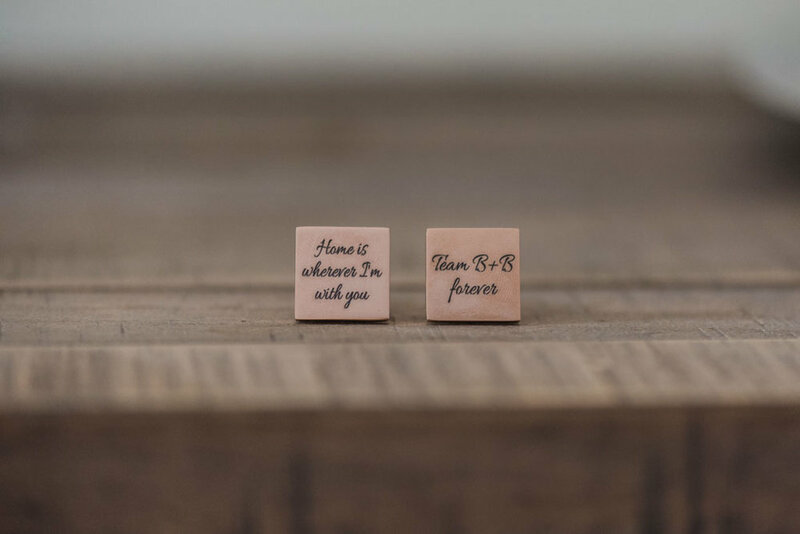 What a beautiful way to to tell your family you are going to merry your best friend. 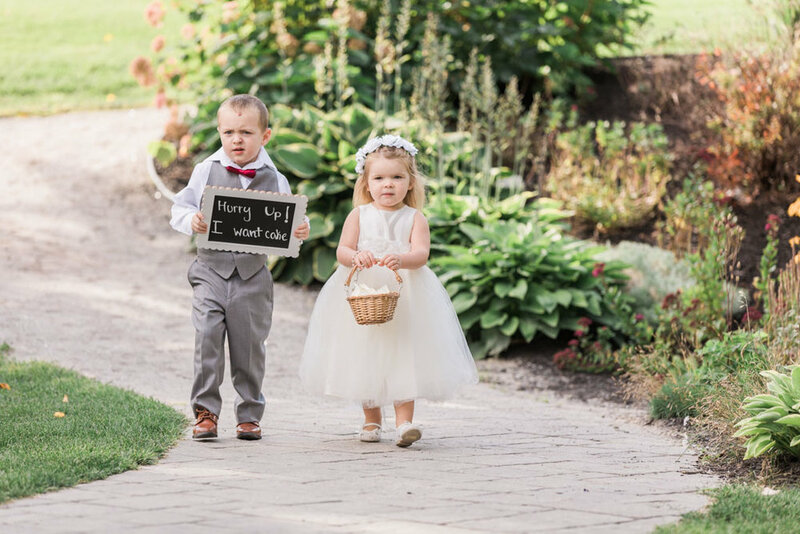 It was obvious their family is a big part of their life and they wanted to make sure everyone was included in the celebration on their wedding day. As they described all the wedding day details it was clear they just wanted to create amazing memories as they started their life together. I can hardly believe Kirstin and Ryan are officially husband and wife! They had an amazing wedding, the entire day was simply perfect. I meet Kirstin with her bridesmaids and family at her parents home. I loved listening to all the stories about how they met Kirstin, and how growing up, some of them basically lived in the same house they were now getting ready in. 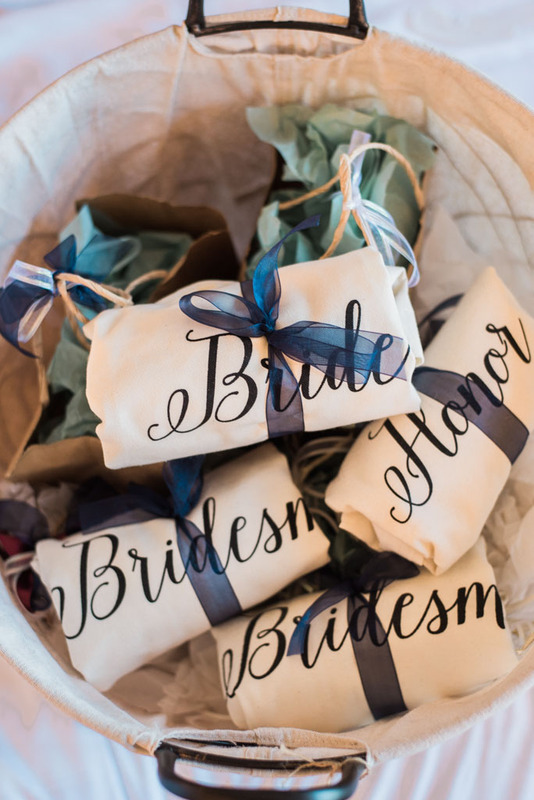 Kirstin's maid of honor, and now sister in law, Ashley made each of the girls personalized hangers for their dresses. 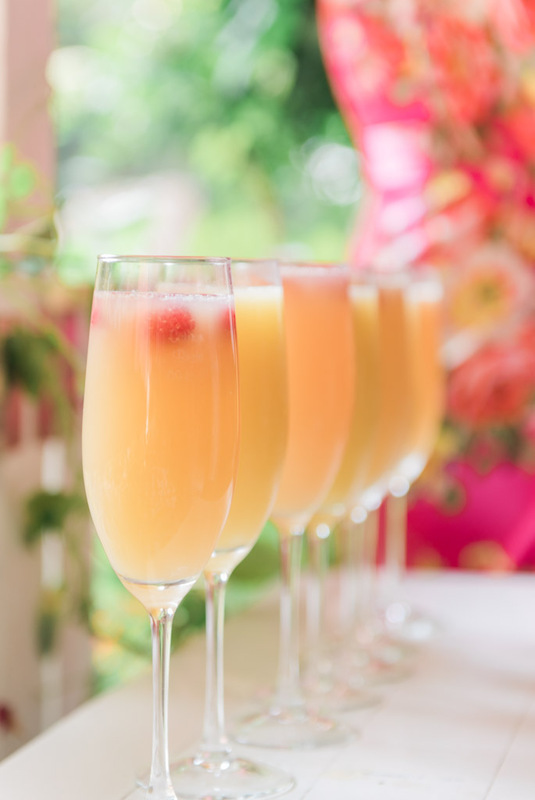 It was very clear that Kirstin's bridal party could not have been happier for her. Her wedding dress was truly elegant covered in beautiful detailed beading. 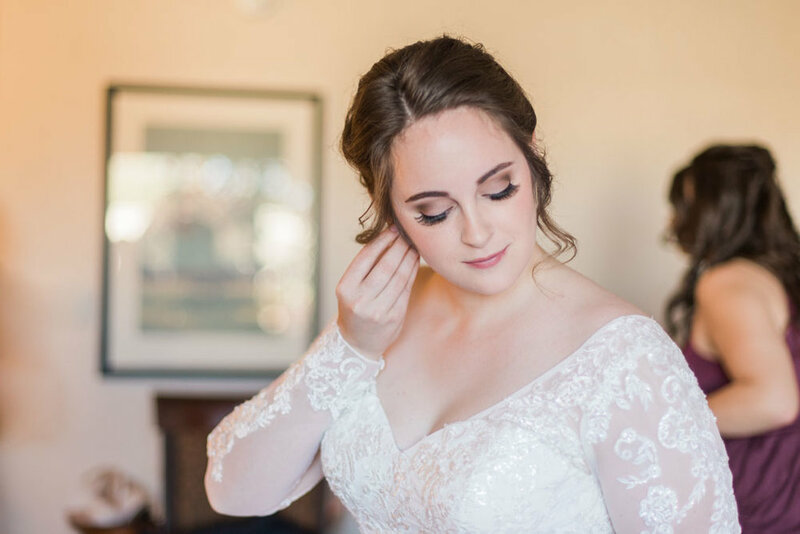 Her hair and makeup could not have looked any better for her wedding day. From the outside looking in Jen and Sean’s wedding day appeared like any other wedding, but really their wedding was just a little different. One week before their two year anniversary Jen and Sean had a beautiful wedding ceremony with their family and friends. Yes you read that correctly, Jen and Sean had said “I do” on a beach two years earlier, but who says you can’t have an intimate ceremony on the beach and take a little time to plan your dream wedding day. Many couples stress over all the “rules” there are when planning a wedding, but in reality there are no rules. There are many traditions but I feel your wedding day should be about you as a couple, so make your own traditions, and do what makes you happy, because those are the moments you will always remember. John and Ybeth's wedding day was simply beautiful. 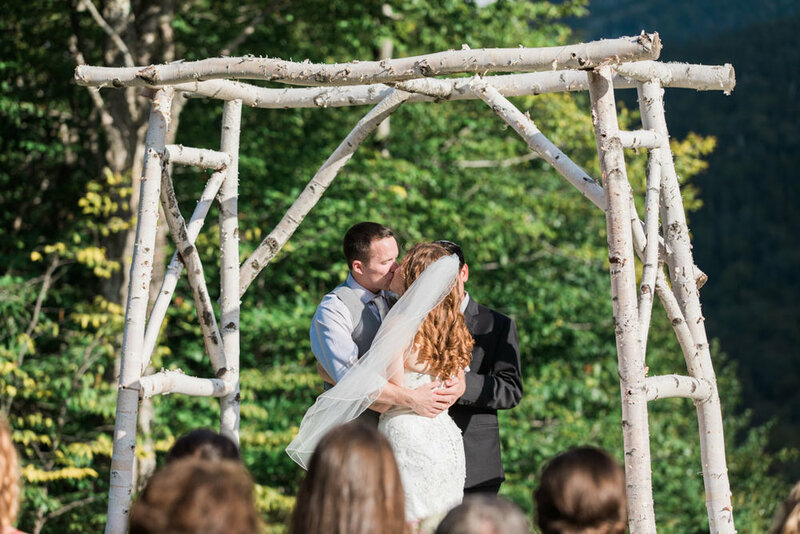 The ceremony and reception were held at the Church of Jesus Christ of Latter day Saints, in Windham Maine. Even though the sun was not shinning in all its glory, John and Ybeth had their own glow, filled with so much love. As I walked into the church, I was greeted by John’s grandmother, who was so sweet. All of the 16 guests who attended the wedding were so kind and welcoming. It felt as though I had been invited into an exclusive club, to capture a timeless love. Weddings are more than just a day on the calendar used to mark each anniversary. 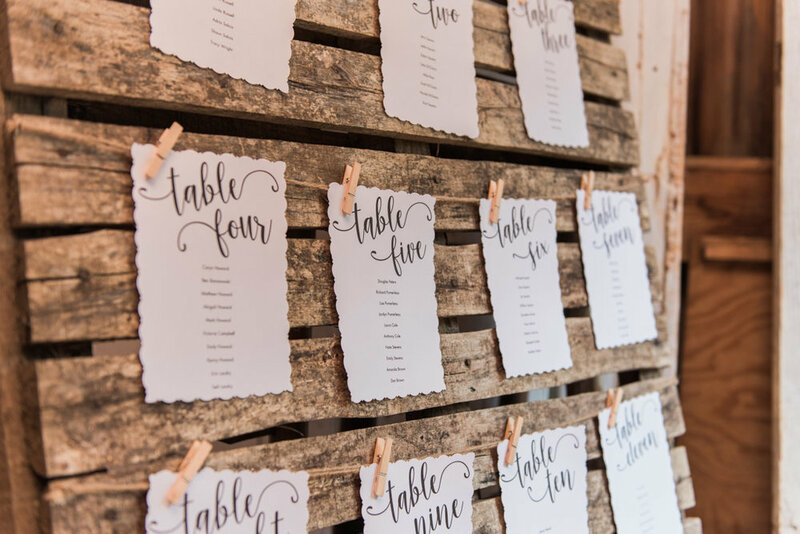 A wedding day takes months of planning, but before the planning can even begin someone has to take the first step. When Erin and Gary met they simply went on a casual walk. 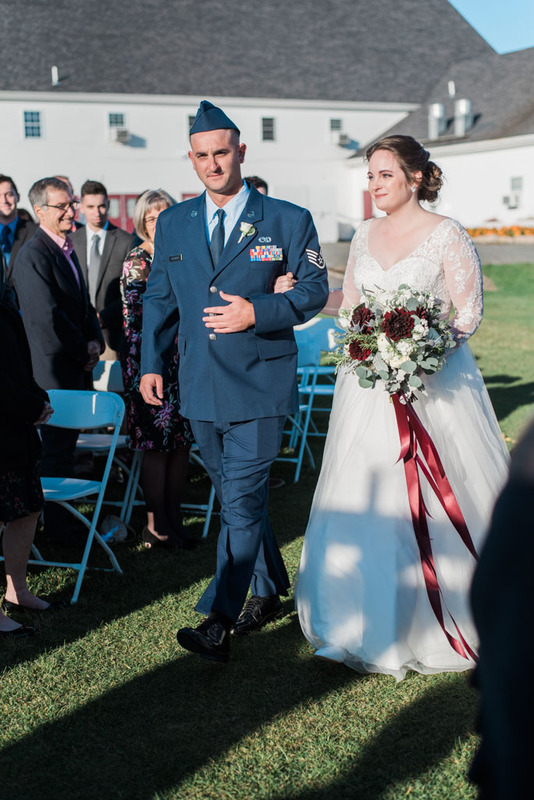 That walk led to Erin giving Gary her number, and I am sure when he finally got up the nerve to call her, he never dreamed he would one day call her his wife. 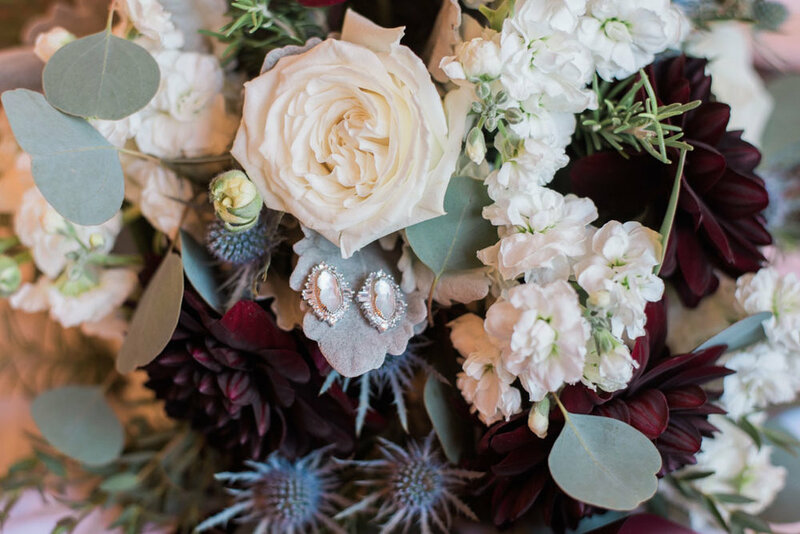 A wedding day is not just about two people falling in love, it is about two people who have loved each other so strongly they have managed to rise above the stress and bring their families together for a celebration.